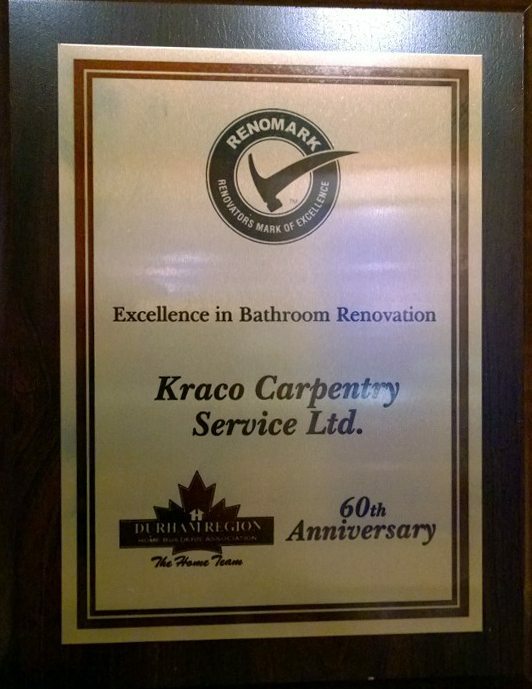 “KRACO” Carpentry & Contracting is a family-owned business, serving clients in Clarington and surrounding areas since 1976. Our services include general contracting, custom building and renovations and design for both residential and commercial clients. When planning a new project, we work closely with you through the entire process, from concept to completion. Our considerable experience and commitment to quality means that we bring the best to every stage in your project, no matter the size or complexity. Attention to detail and quality craftsmanship are our trademarks. We invite you to browse our Gallery of completed projects, and become inspired by the possibilities that come with changing your home or work environment. Feel free to contact us and discuss how we might help with your project. Thanks to Bill & Rudy of Kraco Carpentry for helping us realize a lifelong dream of adding an addition on our house. The job was completed when you said, on budget and was an exciting and pleasurable experience. In particular, we appreciated your advice and recommendations along the way. Looking back we would ‘not change a thing’. Here’s to your continued success!